The Welcome Reception for Hugo Yon and Joel Szabat will be held on May 9th, 2018. The Reception will begin at 5pm. This event is open to IAC members only. 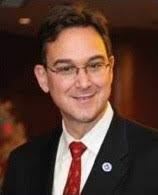 Hugo Yon is the Acting Deputy Assistant Secretary (A/DAS) for Transportation Affairs. He is a career member of the Senior Foreign Service and entered the Department of State in 1999. He joined the Economic Bureau in March 2018. Previously, he was the Director for International Economics on the National Security Council (NSC) staff at the White House responsible for engagement with the Group of 7, Group of 20, global economic platforms, and the Asia economy from July 2016 to July 2017. He also served as NSC Director for India and the Subcontinent from March 2015 to June 2016. His most recent overseas tour of duty was as Deputy Minister Counselor for Economic Affairs at the U.S. Embassy in New Delhi, India. He has also served multiple overseas tours of duty in Jakarta and Beijing, as well as US Consulate in Guangzhou and the American Institute in Taiwan, notably as Transportation Officer. 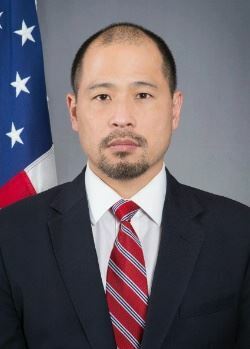 In Washington, he also served from 2008-2009 as Special Assistant to the Under Secretary for Economic Affairs covering East Asia economics, International Finance and Development, and Communications and Information Policy. Mr. Yon won the State Department Frank Loy Award for Excellence in International Environment Performance while serving in Jakarta in 2011 and was the runner up for the Salzman Award for Excellence in International Economic Performance in 2013 while serving as Acting Minister Counselor for Economics, Environment, and Scientific Affairs. Joel Szabat is a Deputy Assistant Secretary for Transportation Policy. This is his second tour of duty at DOT. Before returning to DOT, Szabat was Chief of Staff of the U.S. Small Business Administration. Previously at DOT, Joel led department and government-wide initiatives such as the President's Management Agenda, accelerating transportation projects of national significance, reducing freight congestion, and research prioritization. In 2005 he directed the U.S. government's transportation reconstruction program in Iraq and served as the Transportation Counselor to the American Ambassador in Baghdad. Before joining DOT, Szabat served as a principal consultant on transportation issues in the California State Assembly, served as a management and budget aide to the Administrator for the U.S. Environmental Protection Agency, and worked in a management consulting firm. Szabat received his B.A. in economics and government from Georgetown University, and his MBA from Harvard Business School. During the Cold War, he was in the United States Army commanding tank units patrolling the East-West German border. A former resident of Sacramento, California, he and his wife founded the non-profit International Leadership Foundation, providing public service scholarships for Asian American college students.